The bogey that goes nowhere. VisionRacer had a bank of its virtual reality driving rigs for the punters to play on and a Stig lookalike to grace the stand. 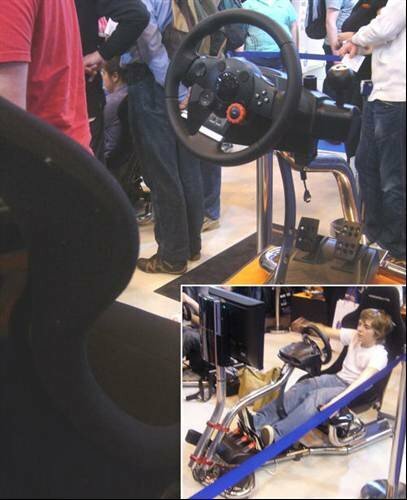 It’s basically a seriously enhanced Logitech G25 racing wheel with pedals and an optional gear stick. The Logitech speakers include a sub-woofer under the seat to add vibration to the immersive experience. Prices start around £1,700.